I was in Istanbul last September and I bought this great fabric from a local store in Osmanbey. After debating which pattern to use, I saw Ralph Pink’s collection and really liked it. I thought that it would be a good change to sew a pattern that I usually don’t wear. This was a PDF pattern. Ralph Pink has really clear instructions on how to print and assemble your pattern. The PDF pattern is constructed a bit different than the ones that I am used to. The only tricky part for me was most pattern pieces had borders on one side. There were times I had to be really careful to match the pattern pieces. First, I thought that I made a mistake but then I checked the printed ruler on the pages and it matched the actual measurements. However, assembling the pattern was no problem. Based on the measurements chart, I made a muslin size 38. The waist was too narrow and so I added 1 cm to the waist in both legs adding 4 cm overall. I considered making a size bigger but the pants sit well on other parts so I went for this solution. Also, I chopped off about 10 cm from the bottom as the pants were really long for me. I used woven fabric with absolutely no stretch and some drape. That’s why it was a good idea to make the pants a bit wider. I think that the fabric was suitable for this pattern. The instructions on the pattern were very clear. The pattern is not a difficult one. Although it is listed as a beginner’s pattern, I would put it somewhere between beginner’s and intermediate level. It includes the insertion of an invisible zipper and the instructions do not give a step by step guide on how to do that. 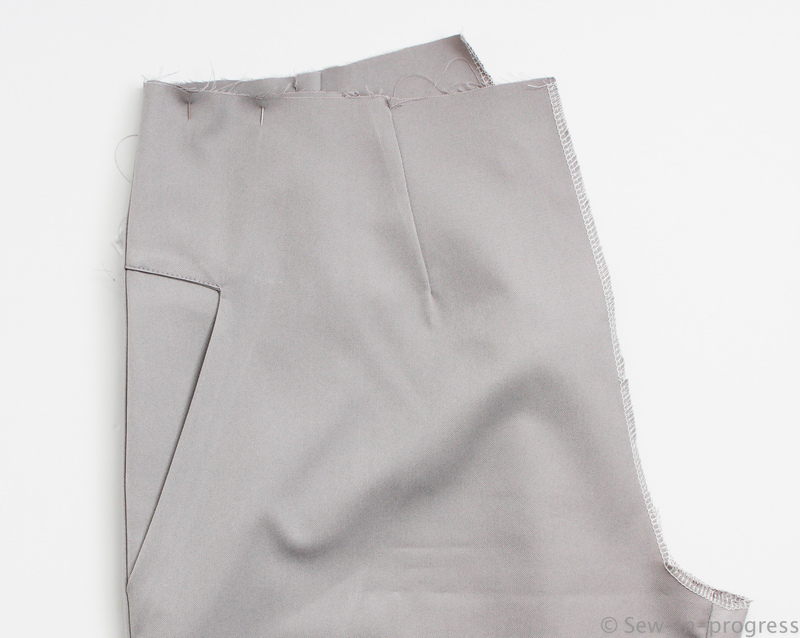 So if you have not sewn an invisible zipper before, it would be good to check out some videos on how to do that. Overall, I absolutely love these pants! 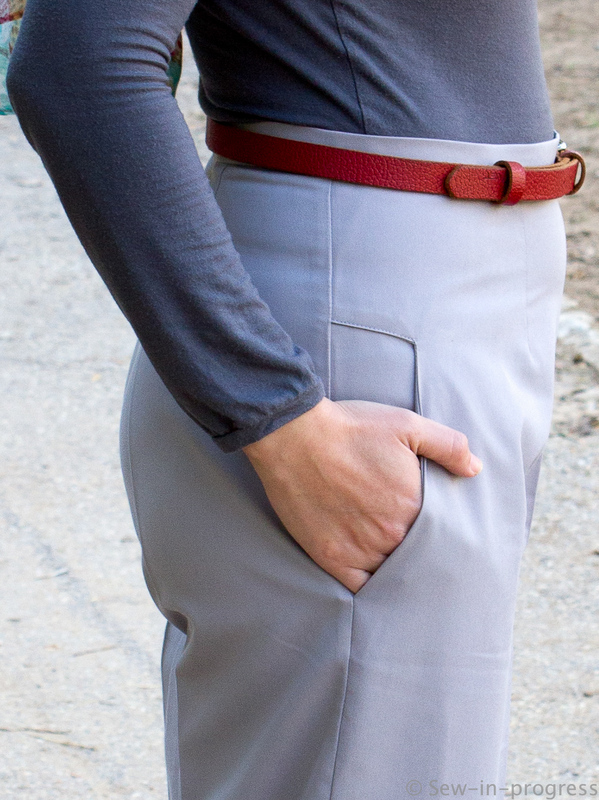 They are very chic and comfortable with great design elements like the pockets. I am thinking of making another pair of trousers or shorts for the summer from this pattern. Great pants! That’s a really interesting pocket design. My head is spinning a little bit trying to work out how you sewed that. Was it tricky? Hi Janet, thank you! Yes, I liked the pocket design too when I bought the pattern. I know that it is hard to figure out just by looking at it but actually it is quite similar to sewing regular pockets for pants. The pocket has kind of a V shape and you topstitch the top part. Ralph has really clear instructions so it was not difficult. Ah, I think that makes sense. 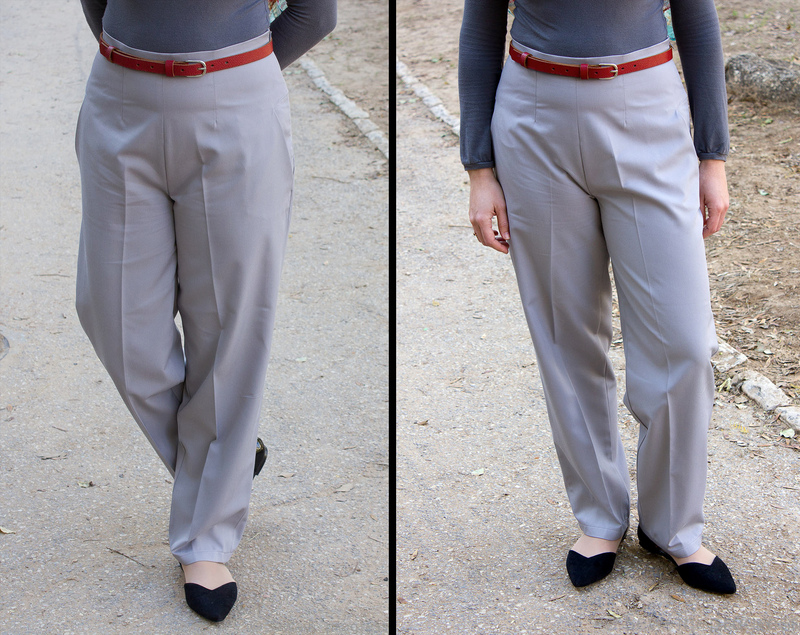 I think it looks great on these trousers – a really different and individual detail, but it doesn’t detract from the rest of the garment. 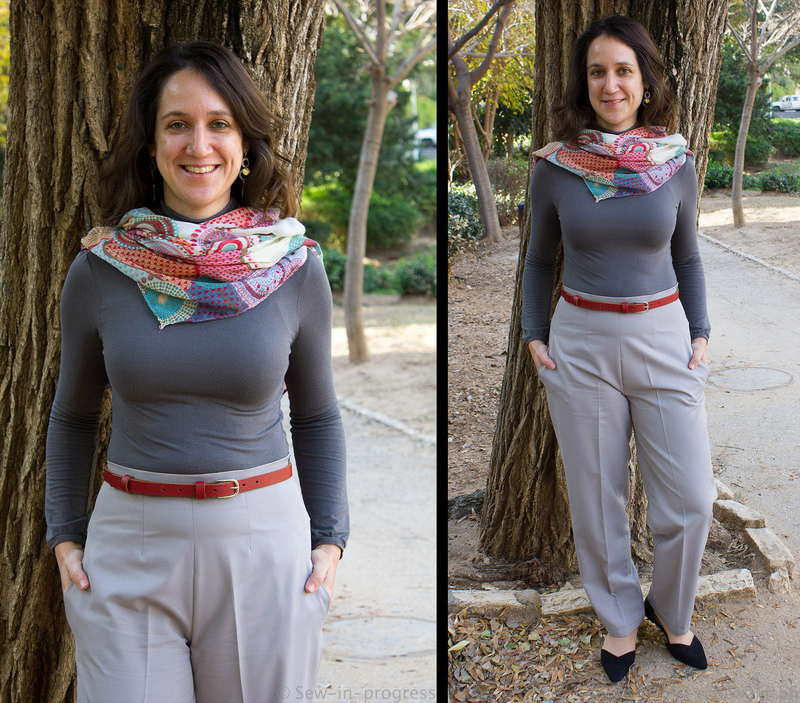 These pants/ trousers are lovely and fit you very well. I’m glad you tried a different pattern from your usual.